Happy Birthday, Dr. King! Born on 1/15/29 and killed on April 4, 1968 while working for justice in the midst of a garbage collectors strike, where he fought for the poor of all races as well as for justice for African Americans long denied justice. In the USA we celebrate his life and work today and the kids are delighted to be off from school for this holiday . I like to add his name next to St. Martin De Porres in the lexicon of Saints. As a Christian, a Roman Catholic and a Priest I believe in Saints and their powers to pray for us. But I think that there are countless saints who have never been canonized by the church nor are they likely to be. Dr. Martin Luther King, Jr. is one of my saints, along with Dorothy Day. Real people who struggled with all of the levels and imperfections of being human including love and sexuality and self discipline and mostly with despair-and hope. Real people who lived the Gospel, witnessed justice and human compassion that they dreamed about and gave inspirational leadership to the cause of equality and justice, no matter what the costs. Like Jesus, King was killed for what he did for love and justice and for what he believed and dreamed. Like Jesus, King’s life changed the world. And, like Jesus he rises again in the living embodiments of his dream. We celebrated the life and work of Dr. King along with Jesus'”First Miracle” of changing water into wine, on Sunday. Jesus made a statement that announced a new way to do what is pleasing to God when he filled the six huge ceremonial water purification vessels with wine. Not only did he keep the wedding party going and save face for the host whose wine ran out, he made the symbolic statement that legalisms are not as important as the essence of the Law – the abundant loving kindness and merciful justice of God and our responsibilities for those who are oppressed and poor, and to everyone. 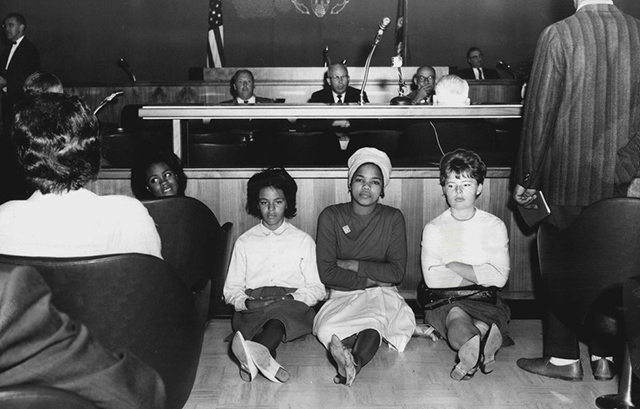 As I looked around at our congregation, I was pleased to see some young people who were working hard to live the dream that Dr. King had, who were working hard at college and High School, and at earlier levels of education who were open to befriending people of other groups and joining with them to pursue justice, going outside of their comfort zones. And, alas, this was not true for all, not yet, some are not trustful outside their own very small group, remain self centered and not community centered, and are also eager to pay back for harms done real and imagined. Hope is needed to see them progress-to progress as Christians and as human beings. Similarly, what wonderful adults we have who have crossed many mountains to become one loving church with a passion for justice. And yet, even among the adults there are some who are works in progress in Christian unity. What moved me most about King was his ability to dream and to hope when things were still difficult. 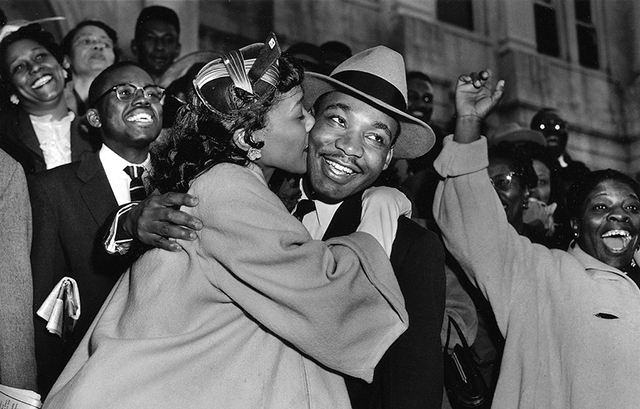 In his Stride to Freedom,1958 King spoke against retaliation and a response of bitterness and hatred to very real injustices. He spoke of the redemptive power of community and of love, not sentimental love but the refusal to hate, understanding and redemptive goodwill. He spoke about “having sense enough and morality enough to cut off the chain of hate…this can only be done by projecting the ethic of love to the center of our lives. ” He quoted Booker T Washington who said “let no man pull you so low as to make you hate him”. “When he pulls you that low he brings you to the point of working against community…Love (agape) is the only cement that can hold this broken community together. When I am commanded to love, I am commanded to restore community, to resist injustice, and to meet the needs of my brothers”. ( pp. 85-88). “Let us not wallow in the valley of despair, I say to you today my friends. …even though we face the difficulties of today and tomorrow I still have a dream”. His dream was that together we can build the beloved community(his term) of love and justice for all. Let us dare to continue to build that dream and that beloved community. We now present a lexicon of King’s life and work from the Seattle Times, and then a commentary by Sr. Joan Chittister. together these are a beautiful tribute to the life of Dr. Martin Luther King ,Jr. and a profound challenge to us all. 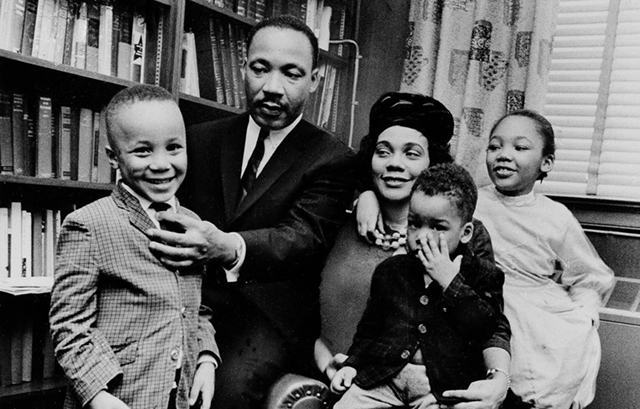 Martin Luther King Jr. lived an extraordinary life. At 33, he was pressing the case of civil rights with President John Kennedy. 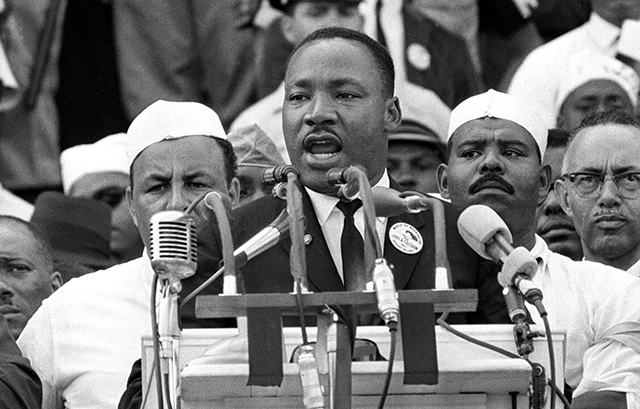 At 34, he galvanized the nation with his “I Have a Dream” speech. At 35, he won the Nobel Peace Prize. At 39, he was assassinated, but he left a legacy of hope and inspiration that continues today. Martin Luther King was assassinated at the age of thirty-nine, young by one standard but far too late to destroy what he had begun, not only in this country but throughout the world. King followed a light, saw a star, felt a pulse, was consumed by a vision that few of us ever see. He may have had to grapple with his own inner discipline, but he was deeply and consistently converted from the “ways things are” to the ways of the Will of God for us, and in his concentration on the things of God he converted us all. 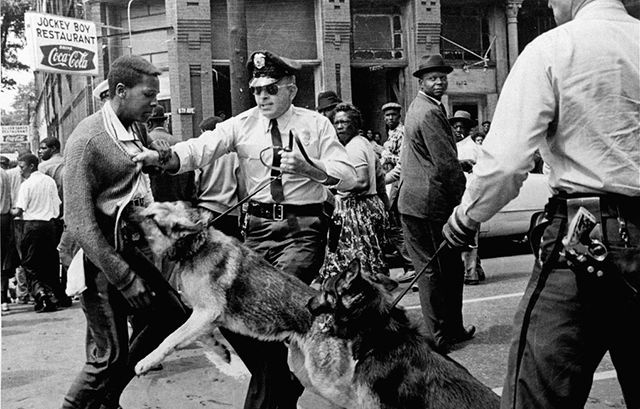 Though angry, he was also committed to nonviolence. Though depressed, he was also awash in hope. Though struggling with the pressures of sensuality, he was also loving beyond measure. King knew that sin was not as simple as a lack of personal discipline and that sanctity was not as simple as the gauge of personal control. King preached, “If a person hasn’t found something they will die for, they aren’t fit to live.” Martin Luther King takes the indifference of all of us and turns it into the stuff of sin. He takes the powerlessness of all of us and turns it into the stuff of strength if we will only pay its price. He casts the shadow of conversion in a new light. Conversion is not so much what we struggle with, perhaps, as it is what we are at our best. If, indeed, as Julian of Norwich says, “Sin is behovable”—necessary, in other words—then Martin Luther King learned his limits so that we could come within the aura of his greatness with confidence and consider it possible for ourselves as well. Martin Luther King’s sins became as public as his powerful heart perhaps so that small people like ourselves could feel comfortable in his presence and challenged by his dream. Martin Luther King, Jr. isn’t above any of us. He is simply more committed than most of us. King left us four things: the courage to confront evil square on without the hope of being able to ignore it; the courage to confront ourselves square on without the luxury of despair; the courage to love when hate is more satisfying; and the courage to continue to live until death so that others may have life. Thanks be to God for the life of this prophet in our times! My spirits are lifted today as I read his words and Chittister’s astute analysis once again.